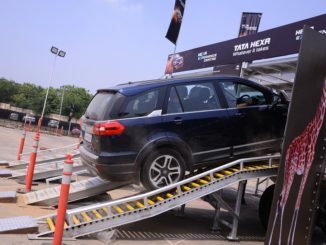 TAL Manufacturing Solutions Ltd. (TAL), A TATA Enterprise, and a wholly owned subsidiary of Tata Motors, recently inaugurated an all new state-of-the-art Generic Assembly Shop at their manufacturing facility located in MIHAN SEZ, Nagpur. 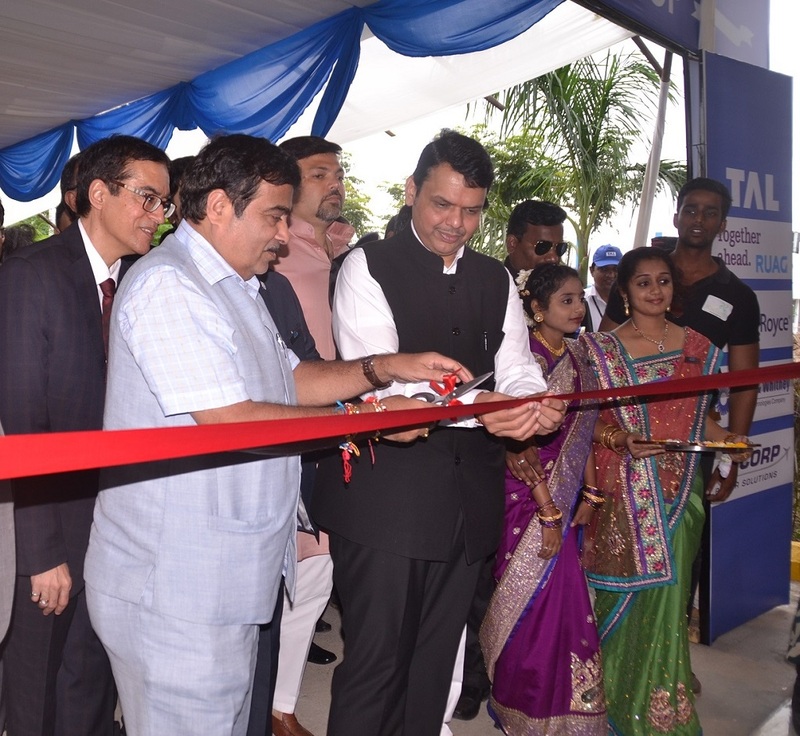 The facility was inaugurated by the Hon’ble Chief Minister of Maharashtra, Shri. Devendra Fadnavis and the Union Minister for Road Transport, Highways & Shipping, Shri. Nitin Gadkari, in the presence of the Hon’ble Energy, New and Renewable Energy, GoM & Guardian Minister of Nagpur – Mr. Chandrashekhar Bawankule, Mayor of Nagpur – Mr. Pravin Datke and other political, government & industry dignitaries, along with the Managing Director & CEO of Tata Motors, Mr. Guenter Butschek and the TAL Board of Directors. 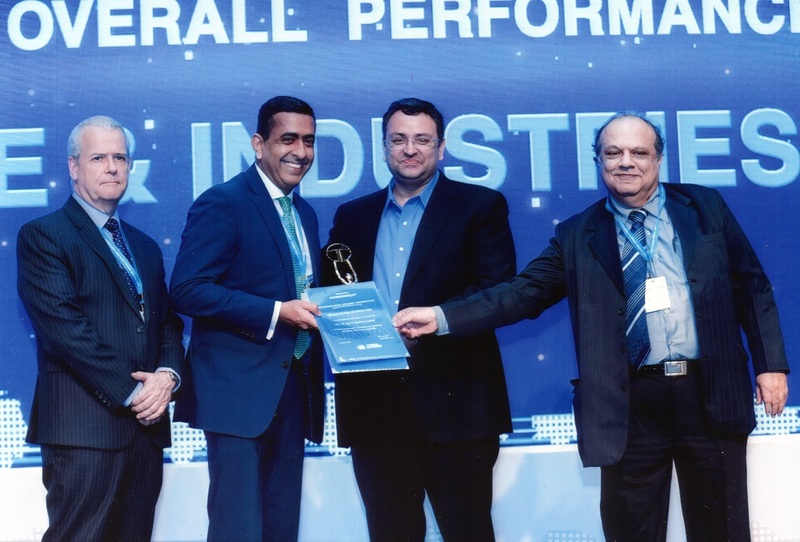 RUAG Aero-structures, a global tier-1 to Airbus, awarded a multi-year $150 M contract to TAL in 2014 for supply of precision machined and sheet metal parts for the Airbus A320 family of aircrafts. The new work scope allows RUAG to strengthen and optimize its long-term objectives of sustainable profitability with a low-cost and high-complexity combi-strategy, which will give its customers not only a global supply chain but also best cost. With a manufacturing area of 96,000 sq.ft. and an investment of over Rs. 100 cr., the Generic facility is a state-of-the-art aerospace manufacturing shop, with equipment to support technologies such as fluid cell forming, extrusion stretch wrapping, solution annealing and long-bed high speed machining of intricate parts along with facilities for assembly. The facility has been built to primarily execute the supply emanating from the RUAG – TAL contract elucidated above and is equipped to manufacture, assemble & supply over 50,000 precision parts and assemblies every month. Mr. Alfons Kaspar, Vice President Supply Chain and Logistics – RUAG Aero-structures, said, “We treat the inauguration of this new facility as the first step in our realization of making TAL a part of our strategic supply base. Our challenge is to help TAL ramp-up quickly and stabilize production, so that we can look beyond parts and sub-assemblies into larger and complex assemblies. We are also looking at exploiting the potential and capabilities that TAL has built up in composites, which will complement our offerings and give us an unbeatable value proposition across metallic and composite aero structures”. 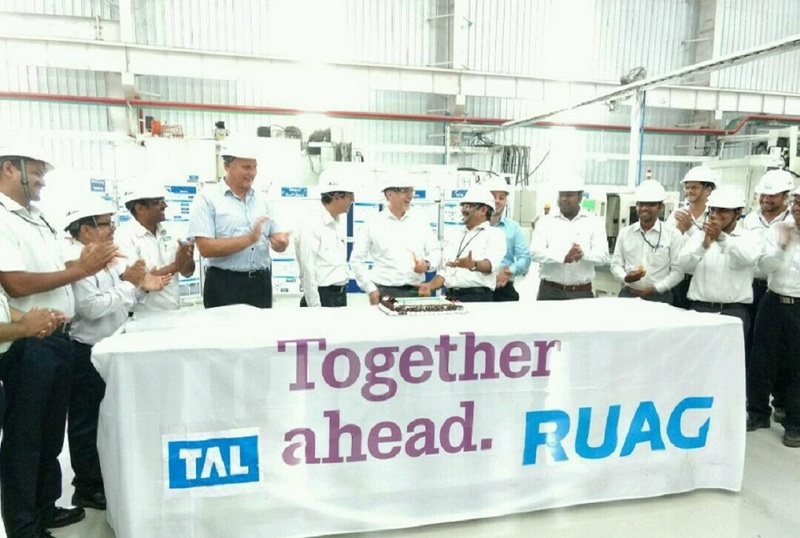 Commenting on the occasion, Mr. Rajesh Khatri, ED & CEO, TAL, said, “Thanks to our customers, especially RUAG, we have set up this new state-of-the-art Generic facility to build some of the most demanding structures of an aircraft with the help of globally benchmarked manufacturing technology. This facility will help us in delivering global quality and cost effective aerospace components & assemblies. We aspire to maintain our first mover advantage and lead the growth in the Indian civil aerospace industry”. TAL has plans to invest in order to achieve desired growth. In fact, in the true Swadeshi spirit, it is planning to set up a lab-scale facility to further develop competencies in new technologies of composite manufacturing and aerospace assembly. Additional investments are being made at the facility to strengthen and grow machining, forming, welding and other capabilities, to make the facility a one stop solution for aero-structure and aero-engine precision components and assemblies. TAL, at its Pune location, has identified Robotics and Automation as one of its key growth drivers. It has recently launched its indigenously developed articulated 2, 5 & 10kg pay load Robots. The BRABO is “robolutionising” automation in the MSME in India. 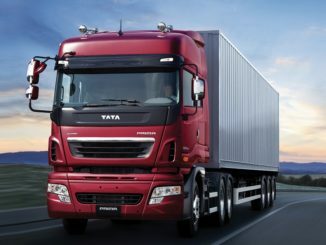 TAL Manufacturing Solutions Limited (TAL), a TATA Enterprise, is a 100% subsidiary of TATA Motors and one of the leading companies in India, successfully delivering manufacturing solutions for over 40 years to a wide range of customers, most recently in the aerospace sector. TAL’s manufacturing plants are at two locations in India – Pune and Nagpur, each focusing on specific skills and offerings, driven by over 750 strong talented & highly motivated workforce. The Nagpur facility houses the Aerospace Business Unit, and is a greenfield factory which broke ground in 2007 in MIHAN SEZ. While it is a prime supplier of the Advanced Composite Floor Beams for the 787-9 Dreamliner to Boeing, TAL has expanded its facilities to cater to demands of its other prime customers – RUAG Aerospace Structures GmbH, Rolls-Royce & Pratt & Whitney. With the completion of this expansion, TAL is uniquely positioned in the Indian private sector in offering – Composites, Machining, Sheet Metal forming, Welding, Special Processes & Assembly, all under one roof. The mechatronics capabilities developed over the years in the Robotics and Industrials Business Units at Pune, has led TAL to indigenously design, develop and manufacture the country’s first best-value TAL BRABO! Robot and integration / application solutions for replacing humans in 3D – Dull, Dirty and Dangerous operations across the manufacturing industry, especially the MSME segment. Other offerings from Pune include Jigs and Fixtures including GHE and GSE, Material Handling and Fluid Power Systems.